Two orphanages were initially set up through the fund — one for boys, at Peckham and the other, for girls, at Sheffield. The Sheffield establishment was opened in 1887 in a house known as Firs Hill, off what is now Orphanage Road, in the Burngreave area of Sheffield. Following the death of its previous occupant, Mr Watson, the house and the eight years' remainder of its lease was sold to the teachers for the sum of £500. The money had been advanced on the condition that the sum would be refunded by the teachers by Easter 1889. The orphanage was under the management of a House Committee, mainly composed of elementary teachers from Sheffield and its immediate neighbourhood. By June, 1887, a matron, servants, and a dozen girls were in residence. It was planned that as the cost of the purchase was gradually paid off, the number of orphans could be increased up to thirty-five girls, the limit of the house's accommodation. As the Firs Hill lease came towards its end, a search began for replacement premises. A suitable property was found in the shape of Page Hall, a large house located on Firth Park Road, about a mile from Firs Hill. The house, together with four acres of land, was purchased in July 1894 for £3,800. It was expected to accommodate up to 60 girls. The home opened its doors the following year with a Miss Bartlett as its matron. In 1928, the orphanage moved again. Its new location was a large house called Tapton Grange on Tapton Park Road in the Broomhill district of Sheffield. The new premises were officially opened on August 23rd, 1928, by Princess Mary Viscount Lascelles. The home could now accommodate up to 36 girls aged from 7 to 12 years at their time of admission. 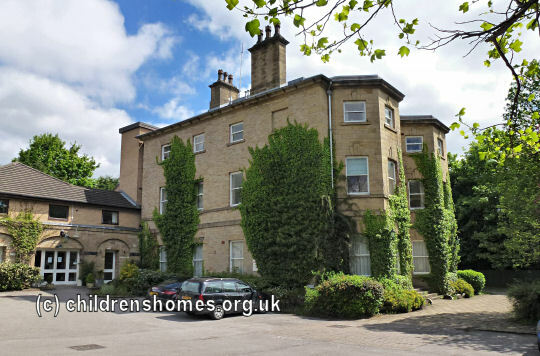 In 1951, following the closure of the teachers' orphanage for boys at Sydenham, Tapton Grange became a mixed home. It was itself finally closed in 1963. Of the orphanage's various premises only Page Hall survives, now in use as a residential and nursing home. Sheffield Archives, 52 Shoreham Street, Sheffield S1 4SP. Holdings include Records include Committee Minutes, Admission Registers, Visitors' Book, and Accounts.